As ardent followers of ‘The Big Bang Theory,’ you probably won’t be wrong to consider Dr. Sheldon Cooper as the most amazing character on the planet. In your sane mind, can you imagine Dr. Sheldon Cooper without the Dr. prefix before his name? We do not mean to scare you but, instead surprise you by bringing to light the new show – Young Sheldon. It traces the protagonist’s childhood life of as he was growing up in Texas. As marketers, it is important to understand that creation of content is just one fold of the story. The other side of coin i.e. marketing is responsible to generate numbers. A lot goes in as a part of pre-launch requisites of any brand. It is a result of aggressive digital marketing strategies that the show broke various records of viewership. 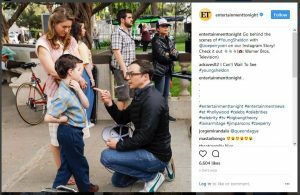 “Young Sheldon‘s debut on Monday night on CBS, was the biggest comedy premiere in six years. 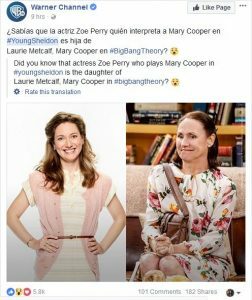 Following the eleventh season premiere of The Big Bang Theory, Young Sheldon held onto a whopping 97.5% of the show’s audience,” stated a story on the Big Bang Theory’s official website. Let’s study this, taking the new show, Young Sheldon as an inspiration. As a brand, being attached to an influencer is extremely vital. 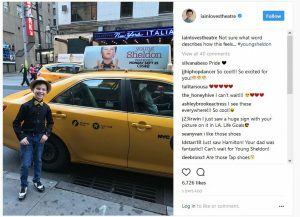 The loyal following of this influencer can actually bring numbers to your brand. Various famous Youtubers, Instagram Bloggers, etc. act as influencers for a brand in current times. However, it is essential to prove the influencer’s connection with the brand. Say, a renowned foodie can represent a fast food brand. 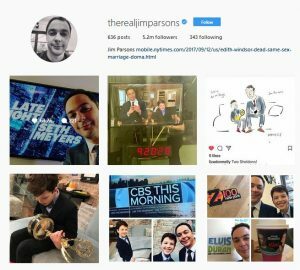 In the case of Young Sheldon, there is clearly no better influencer than Jim Parson. After all, the show is about the character’s younger days. We looked up his Instagram account, only to find it filled with posts about the show. However, there are multiple individual brands, the market is dominated by a group of brands that are associated to each other through a parent company or a common sponsor or even a common advertisement maker. As a wise marketer, you need to make use of the followership of all these channels for launching your new brand. 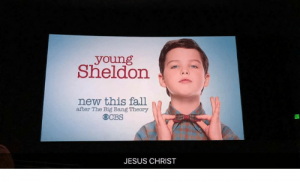 CBS TV, being the channel on which ‘Young Sheldon’ airs ran an entire campaign for the launch of the show. The production house, ‘Warner Bros’ promoted it on its channels. No social media platform were left untouched. 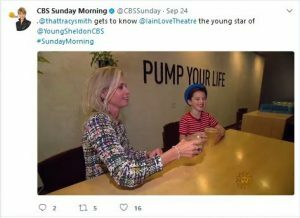 Moreover, CBS TV’s Sunday Morning show had an entire talk session with the protagonist. However new your brand is, writing a press release and sending it across to all the media houses is essential. While it takes inner contacts to actually get published on a well-known platform, your product brief matters a lot. The more interesting your product, the higher are the chances of getting it featured anywhere. With the presence of various online websites which keep featuring interesting stories, the scope widens. These websites have a considerably large audience which can be reached through a never-seen-before take mentioned about your product. Amongst various other platforms, Movies Web and Entertainment Weekly covered the show as part of entertainment beat journalism. This is one of the most popular ways of promotion. This is because a show’s cast is actually the face of the show in the rest of the world. Iian Armitage is all about him being the protagonist of the show. As far as Parson concerned, he is much more than an influencer. Our research found out, he is actually behind the sole idea of the show and is also the executive producer for the show. The show will witness his voice over at key points but, his work is mostly behind the scenes. His Instagram handle talks a lot about this prequel show to his own show. Suppose there are two brands under the same parent company. 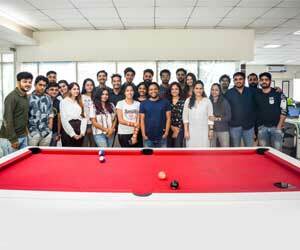 Brand A exists since 10 years and Brand B is just starting off. Brand A obviously has a large follower user base. This doesn’t mean that you use Brand A’s handle to promote Brand B. This is because Brand A has a separate identity and a separate target audience. Promoting Brand B on Brand A’s page can ruin the interest of its user base. 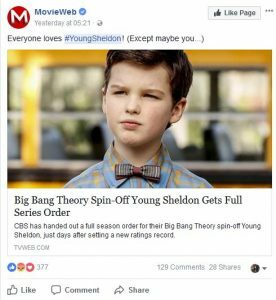 The Big Bang Theory’s social media handle didn’t promote Young Sheldon aggressively. Just one post on the day before the launch was enough. This is because the main show has its own plot structure which is crucial enough. 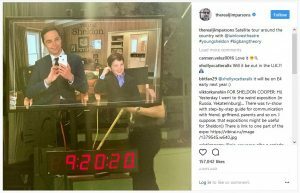 Presence of too much of the ‘Young Sheldon’ can prove the older Sheldon uncool, no? Also, what about Leonard, Penny, Amy, Howard, Raj, feel less important if the page is all about Sheldon? We hope you liked our research and compilation. Tell us about it in the comments below. Don’t forget to share it with your friends. Here is a shortened link of the article. How to use Instagram for boosting your business?